The vast majority of solar photovoltaic (PV) installations go up on rooftops. That’s because these unused, open spaces are ideally suited for harnessing free sunshine. Not every residential or commercial property has the right type of roof for installing solar panels. Insufficient space – i.e. the roof in question is too small. Obstacles like vents and chimneys that further limit space. Excessive shading from trees or nearby buildings. Suboptimal orientation – i.e. the roof is facing the wrong direction. 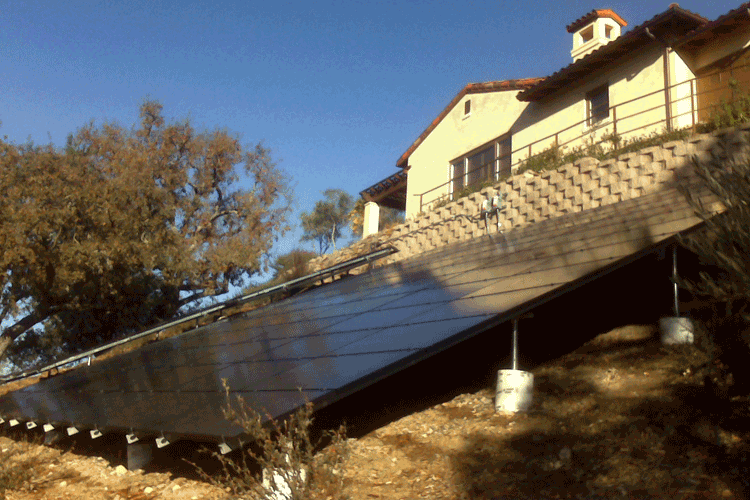 As a result, many solar customers explore ground-mounted PV installations instead. 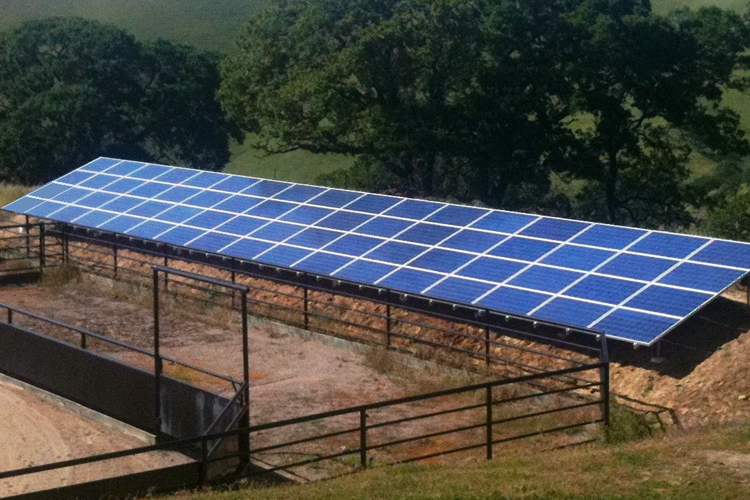 What Is Ground-Mounted Solar PV? 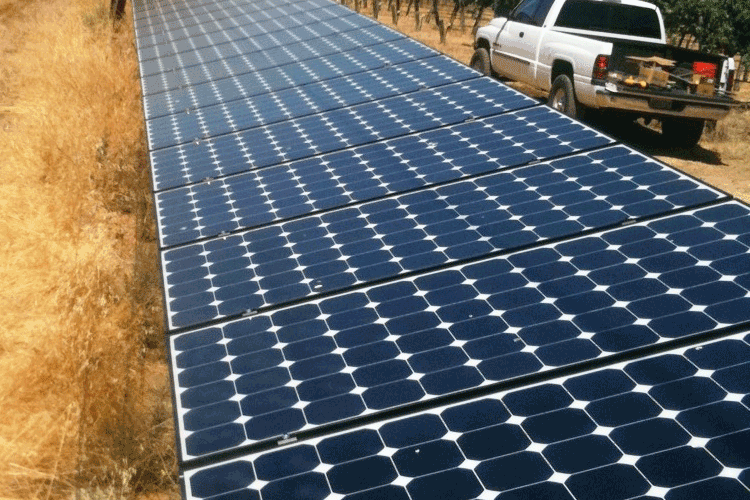 As the name suggests, a ground-mounted PV system involves securely installing solar panels directly onto a ground rack (as opposed to a rooftop). In most cases, the installation goes up in your side or back yard. 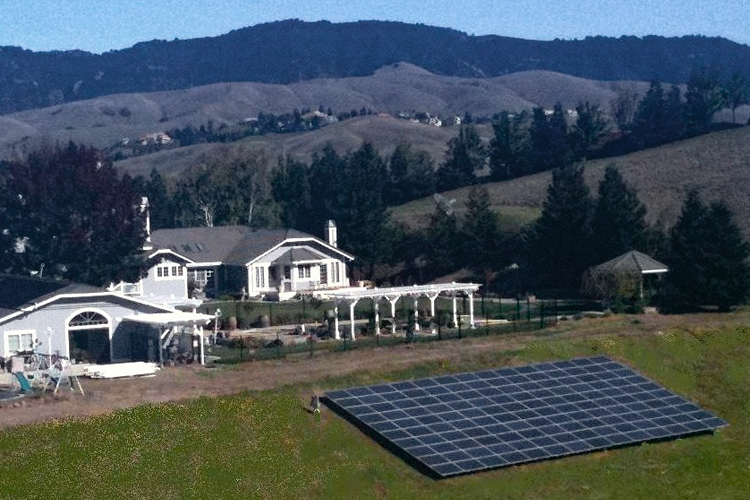 And the entire PV system can even be elevated to provide additional shading – as is the case with solar carports. 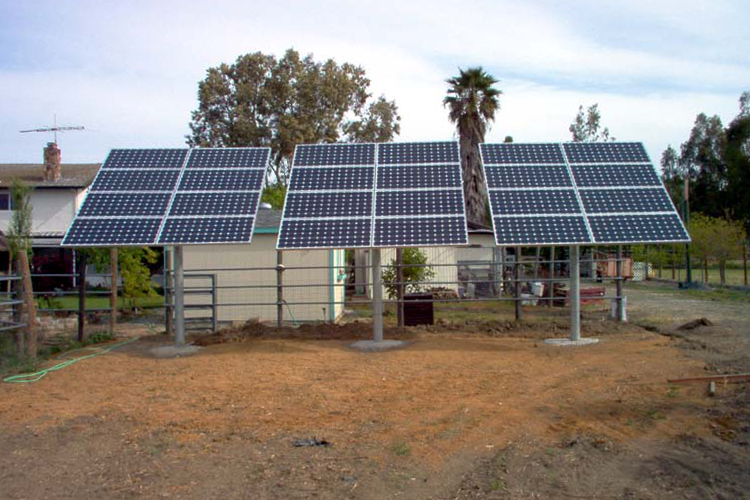 What Are the Benefits of Solar Ground-Mounted Systems? The most obvious advantage of ground-mounted PV systems is that you can go solar even if your property can’t accommodate a traditional rooftop installation. Because you’re not limited to available roof space, a ground-mounted PV system allows you to invest in a much larger installation. This, in turn, translates to higher monthly utility bill savings. 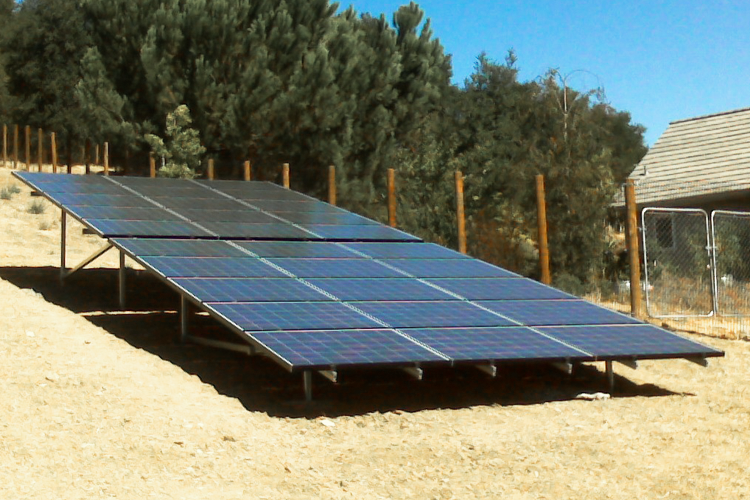 Ground-mounted solar allows you to optimize the position and orientation of your PV panels. This also translates to more energy output and higher monthly savings. 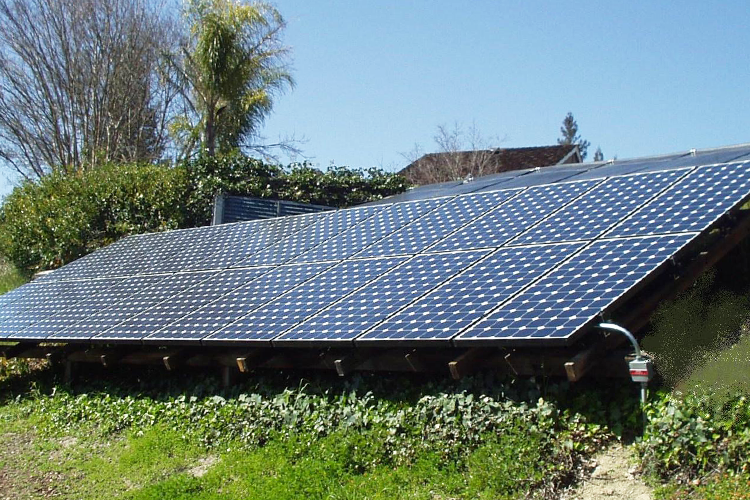 Ground-mounted solar allows you to install panels in less conspicuous areas that are not as visible as rooftop solar arrays. This is a huge plus if you’re worried about PV panel aesthetics. 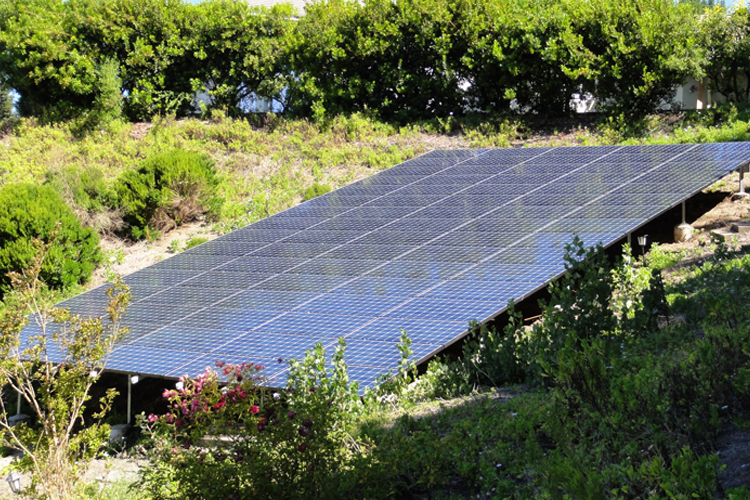 And as already mentioned, it’s also possible to design a ground-mounted PV system that doubles as a shaded carport. 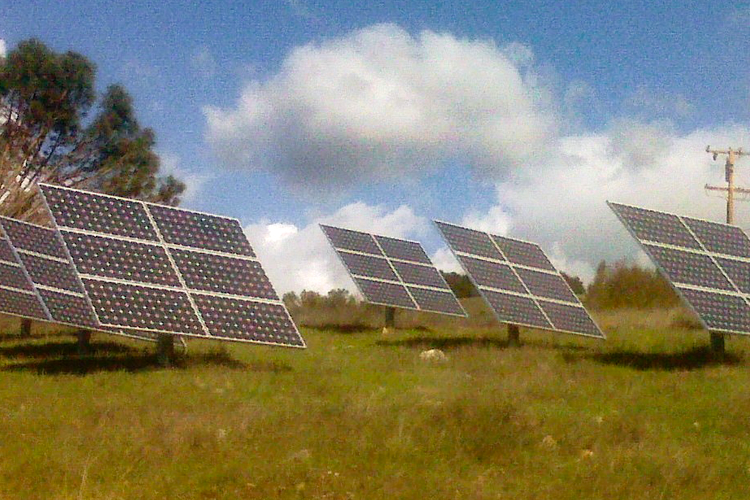 Is a Ground-Mounted Solar PV System Right for You? Perhaps. But if you have the space, we generally recommend rooftop solar installations instead. This is because rooftop PV systems are usually faster and cheaper to install. And due to their raised elevation, they can receive more direct sunshine than an equally sized ground-mounted PV system. 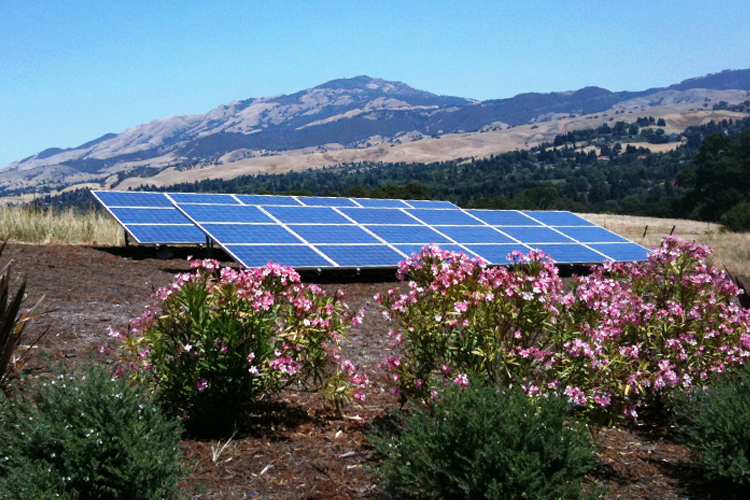 But if your property doesn’t have the right type of roof, ground-mounted solar may be your only option. 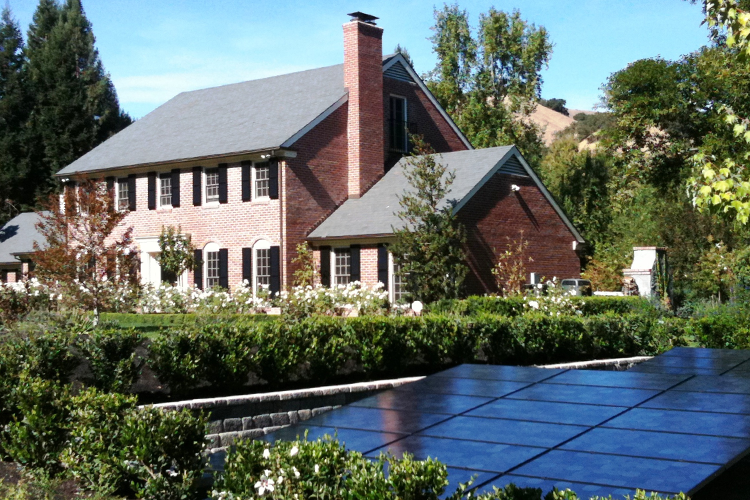 As the gallery down below illustrates, the Sky Power Solar team is expert at installing ground-mounted panels that are as gentle on the eyes as they are on your bank account. 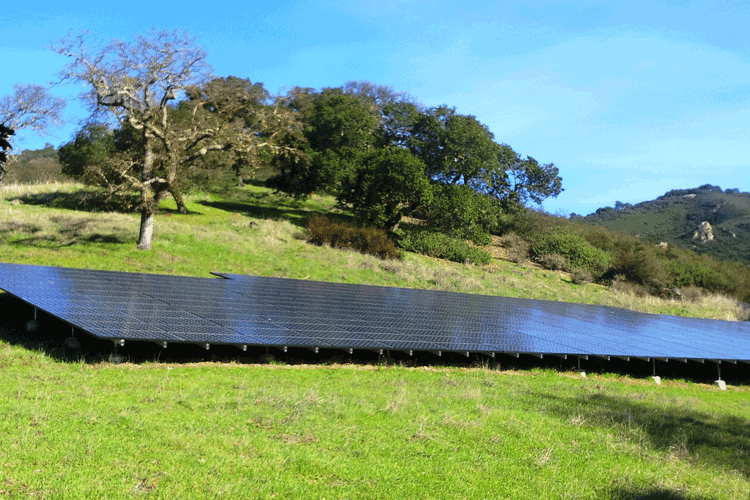 Still Have Questions about Ground-Mounted Solar? 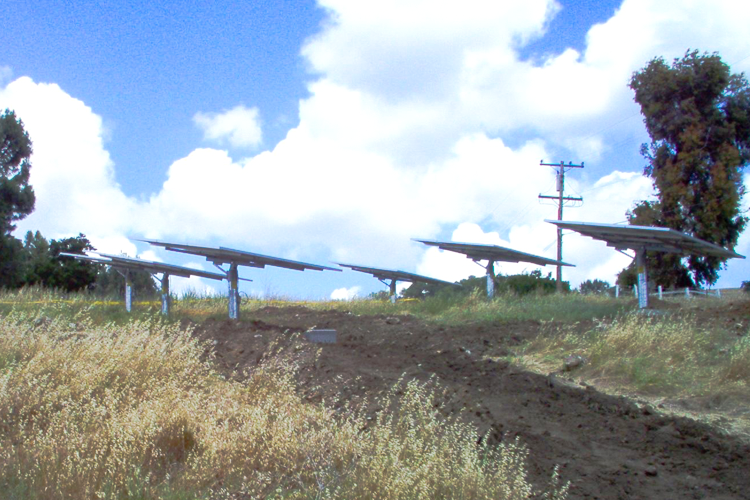 Want to learn more about solar ground-mounted systems? Not sure if your property is eligible for a standard rooftop PV installation? Schedule a free, no obligation consultation with Sky Power Solar today. And our team of experts will analyze your property and help you design a PV system that delivers the greatest energy savings at the lowest possible cost. To schedule your free consultation today, click here. Want to know more about solar ground mounts?